This remodeled and extended ground floor flat, located in a sensitive conservation area, now has a lively new identity and provides additional space for contemporary family life. 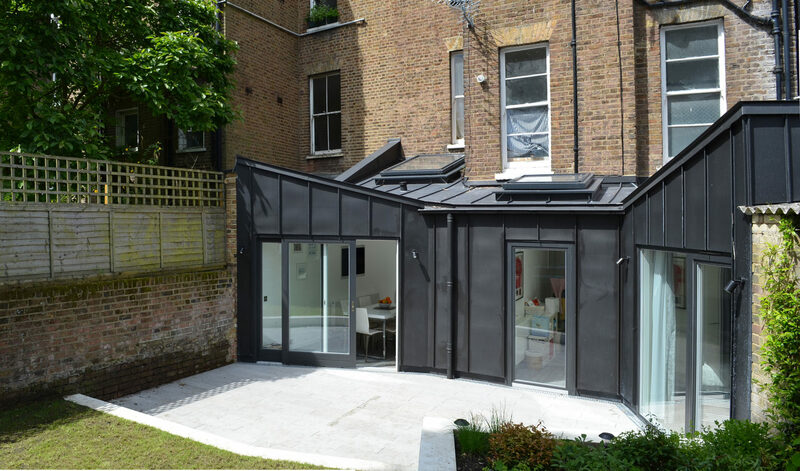 A new angular rear extension stretches into the garden and creates a sense of enclosure around a new terrace. 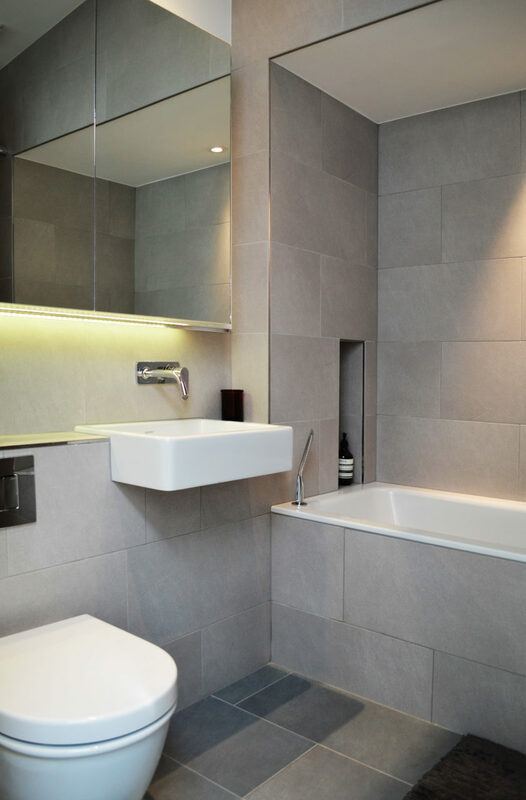 A former garden store has been reclaimed as a second bathroom, while an awkward area between the house and a neighbouring building has also been brought inside as a third bedroom. 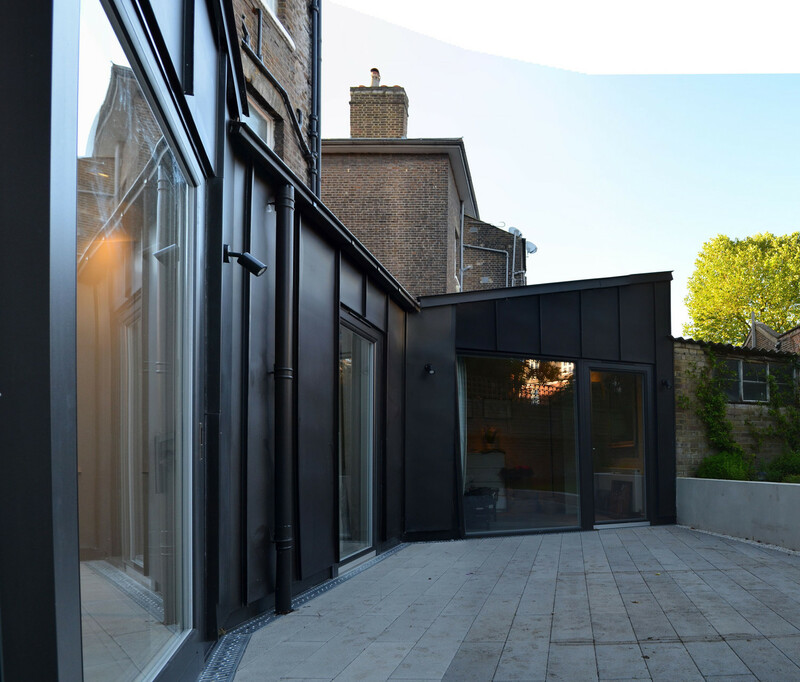 The angular plan is mirrored in the roofline, and the extension is clad entirely in carefully detailed dark zinc – a contemporary material that contrasts well with the brick of the original building. Full height doors and windows open onto the terrace, and create a light and airy interior. 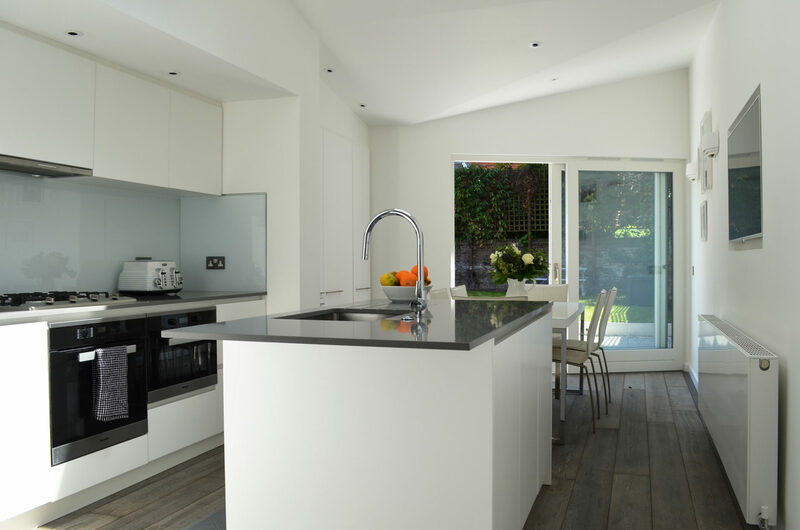 A new kitchen and high specification bathrooms sit alongside sensitively restored period features such as plaster cornices, window shutters and fireplaces. 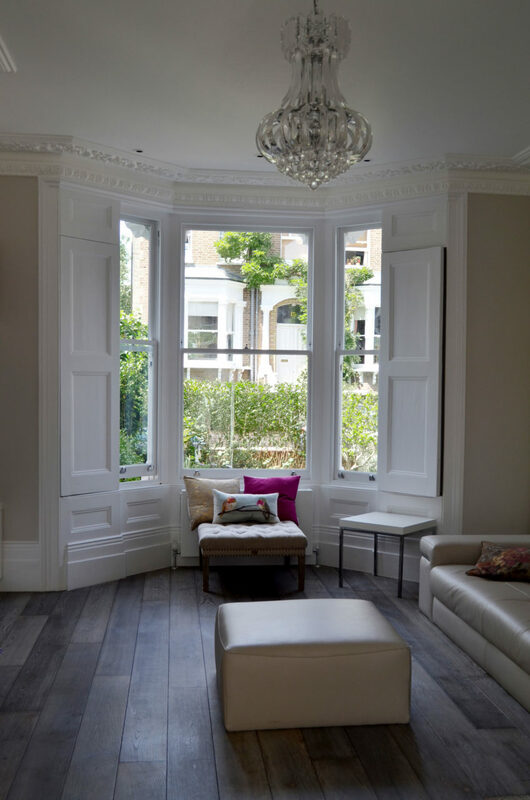 A new dark timber floor and light decorative palette complete the transformation.